Try as al-Qaida might to encourage them, American Muslims still aren’t committing acts of terrorism. 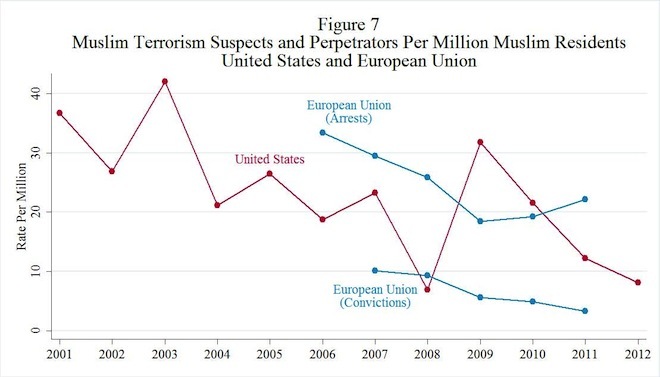 Only 14 people out of a population of millions were indicted for their involvement in violent terrorist plots in 2012, a decline from 2011′s 21. The plots themselves hit the single digits last year.